Wow. I wasn't sure at first if I wanted to read this. Like so many other times I am glad I didn't shy away from reading. I would have missed out on something great. 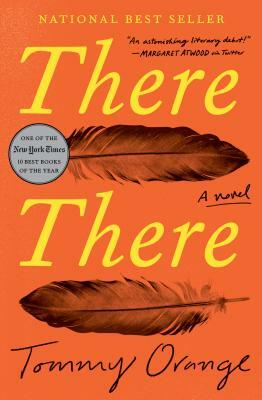 "There There" is a complicated knot of characters. At first they only seem connected by where they live or are from: Oakland, CA. This story (or stories) twists and weaves through different points of view and multiple generations. The culmination of this novel is the Big Oakland Powwow, where we witness how these twelve people who are all linked through layers of their pasts, their location, and their identities become a part of each other's tales yet again through a single tragic event. Tommy Orange does something brilliant here. He has written a book about violence, pain, addiction, poverty, pride, family, love, identity, loss, and hope: and he has written it beautifully and honestly. There is no vignette, nothing gentle, but this book is full of heart and is well crafted. It is both satisfying and brutal.